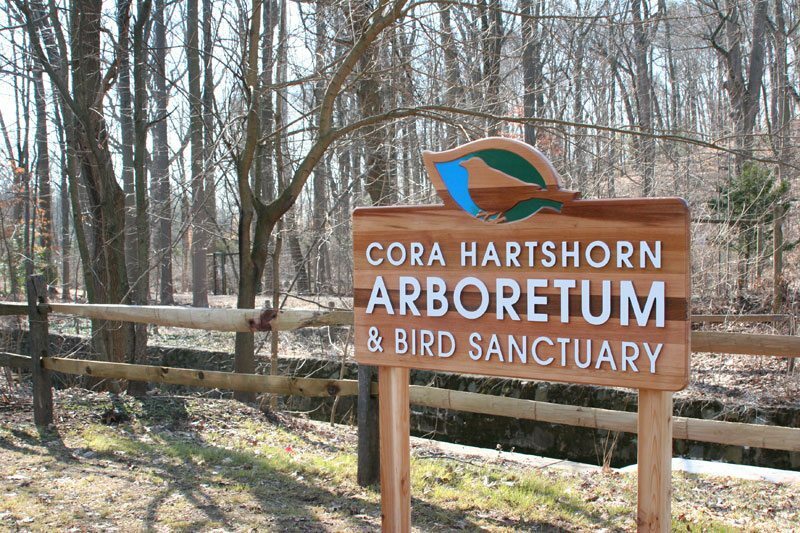 As a local resource and environmental education provider, CoraHartshorn Arboretum (CHA) believes in leading the way to a more sustainable future. We strive to influence students, program attendees, and everyday visitors to shape and modify behaviors and attitudes that promote environmental stewardship and conservation. The purpose of this document is to guide CHA’s practices on every level to include environmentally aware choices and decision making. As an educational center with live animals CHA provides the upmost care for live specimens and follows NJ DEP and Federal regulations. All displays involving live animals will serve an educational purpose. We do not accept specimen donations from private citizens (unless education staff has made special consideration and deem that the donation will serve as an educational opportunity). CHA staff will provide proper care and nutrition for the animals; follow standards for maintaining live specimens, and consult experts as necessary. CHA makes it a priority to accept only native species from now onward. As an arboretum, we are aware of the effects of white-tailed deer on our tree and plant populations. By maintaining about 15 plus acres of a deer fence, we control and monitor both wildlife and plant life on township property. CHA land and gardens are to reflect the natural habitat of the area. CHA will use and promote water-efficient landscaping. We routinely remove invasive and exotic plants species such as Norway Maple, Garlic Mustard, and Wineberry, and replace them with native plants. Herbicides/pesticides/fungicides are only used on grounds under specific management protocols. For example, we need to treat our Ash Trees with direct trunk insecticide injections to combat the Emerald Ash Borer. We treat our Hemlocks via a systemic bark spray and our crabapple trees with a foliage hand spray fungicide. Without these treatments, the trees would die. Outdoor compost bins are maintained and used to create organic fertilizer. Staff and volunteers will provide upkeep and maintenance on trails. Pruning and harvesting of plants or trees is done only when a threat is posed to visitors and staff alike. Many cleaning products and paper supplies have a direct impact on our environment. CHA strives to use alternative cleaning products that are less harmful to both people and the Earth. Health to humans and the environment is taken seriously by the Arboretum. By using only natural, bio-based cleaners we keep our staff and visitors safe from toxic chemicals. Pest control at CHA is undertaken through an Integrated Pest Management (IPM) program where a variety of techniques are used to try to control pests. CHA promotes prevention before all other methods. As an arboretum, we must take procedures to insure our trees are healthy. The Emerald Ash Borer is highly destructive to our native Ash trees; therefore CHA must treat these trees once a year with an insecticide labeled for the targeted pest, used according to label specifications. Besides our treatment for Ash, crabapple, and Hemlock trees, CHA is an herbicide and insecticide free site. Through our programs, events and everyday practices CHA promotes the three R’s: Reduce, Reuse, and Recycle. First and foremost, we reduce our impact by limiting the amount of products bought and used at the Arboretum. Whenever possible, we reuse non-biodegradable materials such as plastic and glass that offer multiple functions, from containers to educational resources. Water catchment – CHA has a rain barrel near the cold frames in back of the addition. We use some of the water for plants in the cold frame. We also have a rain garden in the front of the Arboretum that uses runoff from the Arboretum’s roof. Our non-renewable resources are valuable and limited. We strive to conserve and invest in alternatives when it comes to energy consumption. Automatic lights are installed in many of our rooms and offices to insure electricity is used only when necessary. CHA has regular energy inspections and audits and takes into consideration energy-efficient recommendations. Thermostats are programmed to use heaters and air conditioners sparingly. When looking for new appliances, CHA will choose the most efficient feasible technology. We recognize the label Energy Star as a leader in environmental design. Cora Hartshorn Arboretum recognize that climate change is one of the most pressing environmental issues today. Personal and community-based approaches to carbon footprint control are important and necessary for the future health of our world. The Arboretum is conveniently located a couple blocks away from the Short Hills Train Station. We encourage our visitors to use this way of travel and other alternatives when traveling to and from all CHA events and programs. We encourage carpooling whenever possible. Parking is limited and you’ll save on gas! While we have no fixed amount of shrubs, trees, or plants that we try to plant each year, our land management plan, developed in partnership with the Township of Millburn necessitates the planting of native plants species each year. The type and number of plantings varies from year to year depending if an area has been cleared of invasive species or if the tree canopy has opened because of blow downs from storms. For each of the past three years, we have planted approximately 1000 plants, including shrubs, saplings, ferns and grasses. Some of these were raised from seed, some purchased, and some transplanted. 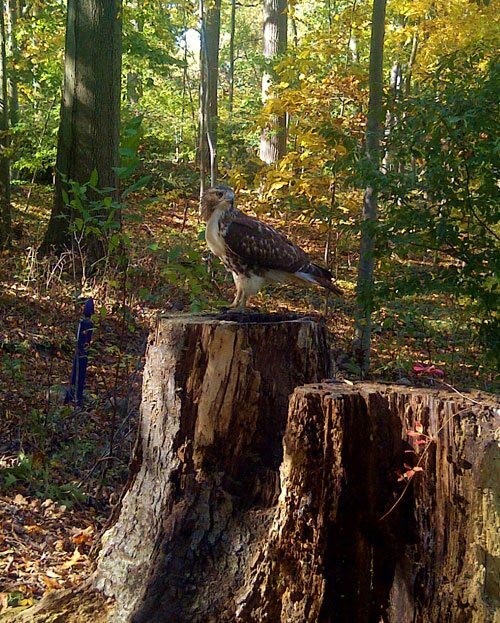 We strive to recreate pristine habitat for native insects and birds. CHA encourages the groups that use our facilities to follow our lead in conservation methods and standards. When planning your birthday party, consider biodegradable plates and cutlery instead of single use plastic. If using the A/C, ensure that doors and windows remain closed. Recycle all leftover materials (consider reusable bags for gifts and glass or metal food containers instead of throwaway plastic). Compost whenever possible. Ask a staff member about our worm bins and outdoor compost area. When leaving, please turn off all lights, ceiling fans and appliances. We prohibit balloons not because we don’t like fun but because balloons persist in the environment and can be deadly to wildlife.